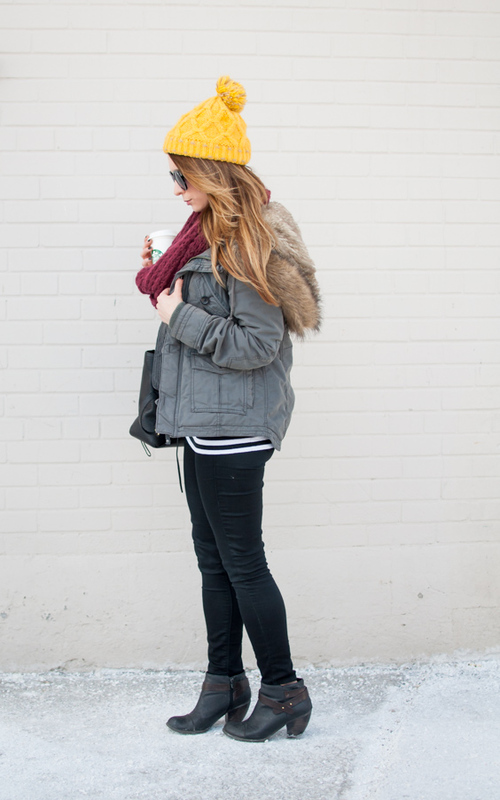 OOTD - Winter Parka Casual Style | La Petite Noob | A Toronto-Based Fashion and Lifestyle Blog. To say that the weather in Toronto has been cold would be an understatement. With a bone-chilling wind, and temperatures dipping into the -40s I think that everyone in this part of the country is in survival mode. As much as I am constantly trying to find a cold-weather alternative, sometimes a girl's just got to wear a parka. Granted, I am a little more deconstructed than normal for these photos (no mittens, open jacket etc.) but I'm a firm believer of sacrifice for blog photos. What would be the fun if everything was easy? Read on for complete outfit details and more photos. It was a bit of an adjustment to get used to a top-handle bag, but now I'm a full-fledge convert. I love carrying this Pashli on the crook of my arm, and find myself rarely using the longer strap. What's your cold weather go-to? I am now convinced mustard and oxblood are the perfect colour combo. How do you look so lovely in these frigid temps?! Haha totally! I giggled when reading this post as I feel the exact same way. If I were to keep warm, they would all be of my parka, snow boots, mittens, hat and a scarf up to my eyes (and I'd look like just about every other Torontonian walking down the street). lol. Love this look! 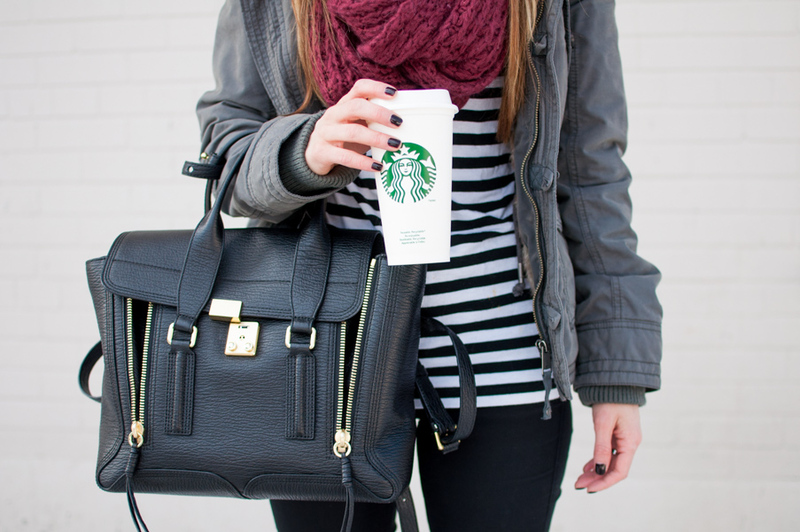 And that bag - totally adore it. So beautiful. HAHA I totally agree - who wants to see the same old parka, although it's definitely on daily repeat. Bring on spring! Super cute! I'm in my parka and sorels everyday... it's just WAY to cold out there! Right?! I'll take a nice even 0 degrees at this point! You look great even in these freezing cold temperatures! I love love love your bag, and the pop of yellow colour of your beanie! That's a really cool outfit, I'm so in love with it! And you look gorgeous!